The Playbill wedding invitation suite from Paper Source is reminiscent of the vintage playbills of bygone days. 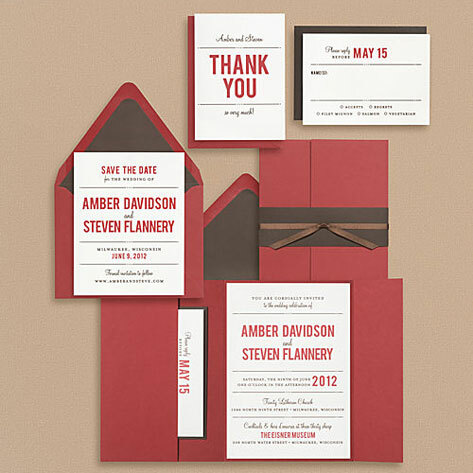 These invitations are sure to make a lasting impression with a bold, rich red and chocolate brown color scheme that gives the suite a fun, vibrant feel. The tri-fold pocket enclosures have pocket folds inside, perfect for holding response cards and additional pieces. Available flat printed or letterpress printed.